For those interested in paper and silk, and enjoy shopping. This trip begins by travelling further upstream to the "paper village" or Ban Xangkhong. Here you can visit paper makers and silk weavers, there are many studios in this small area. 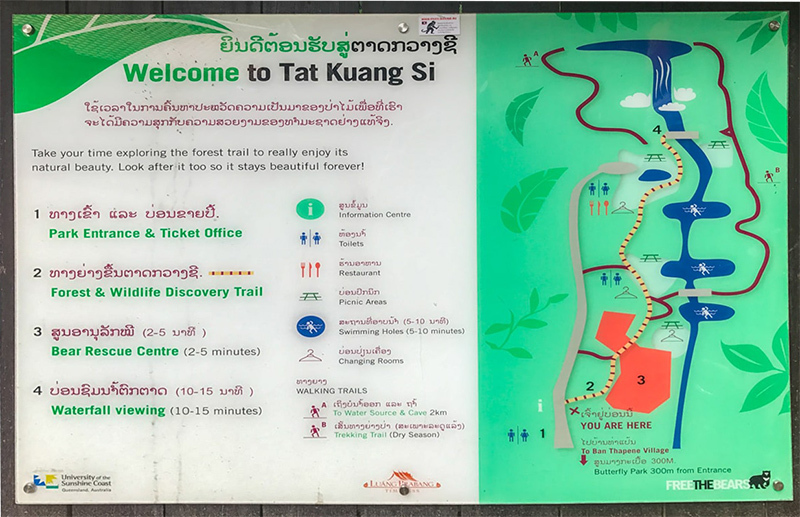 Then you return to the boat to follow the trip as outlined by our BB01 Tour, visiting Long Khoune Temple, a meditation cave, Chompet Temple, the Bear Sanctuary and Kuang Si Waterfall. In the hotter months, we will suggest to visit the temples before going to the handicraft village in order to avoid the heat of the day whilst climbing the steps to Chompet Temple.